Most homeowners’ or renters’ policies have a minimum amount of coverage for all unscheduled personal property including your jewelry. Only items that are scheduled under a separate “RIDER” can be covered for more than this amount. In order to schedule these item(s), Insurance companies require that they be appraised. A detailed accurate appraisal is needed to protect your interests. Most insurance companies will replace your item(s) at the time of loss. Therefore, an appraisal will allow the Insurance company to replace your items with like or comparable items of size and quality as per the specifications listed on your jewelry appraisal. Who Is Qualified To Do An Appraisal? Until recently, Insurance Companies would accept any appraisal whether it was prepared by a qualified appraiser or not. However, because of the increase in fraudulent claims, most insurance companies now insist on a Gemologically accurate and detailed appraisal prepared by a qualified gemologist. How Do I Know If The Appraiser Is Qualified? Ask the appraiser about his/her experience in the jewelry business. Ask how long he/she has been appraising. 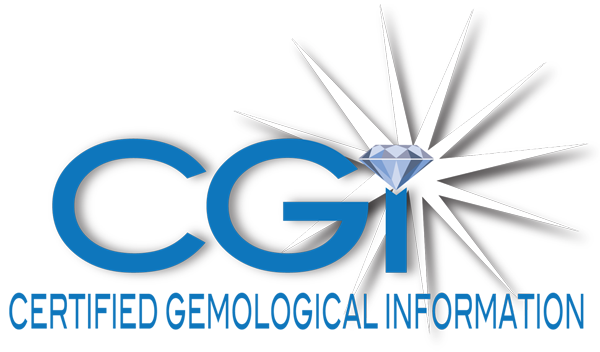 Ask about their Gemological credentials and if they belong to any professional appraisal associations. How Will I Be Charged For The Appraisal? You will be charged a professional fee for each piece of jewelry appraised. The minimum professional fee is $ 65.00. After consulting with you on what type of jewelry you have. The appraiser will inform you of the exact professional fee to be charged before any evaluation or identification is done plus any shipping charges if the item was sent to our office. The fee for an appraisal covers the appraiser’s time with the client, the appraiser’s expertise, any time necessary to inspect the items and conduct research, completing the report, photography, etc. Will My Diamond Be Removed From The Mounting? There are gemological formulas to allow us to calculate the approximate weight of your diamond. Therefore, we will not need to remove your diamond from the setting to appraise it. What Information Should The Appraisal Contain? The appraisal should provide enough information to replace the item with one of like size, quality and value in the event of loss or damage. Description of major stones including, species and/or variety, origin (natural or man made), shape, size, weight, color, clarity, cut and phenomena, description of minor stones including size, weight , color, clarity and condition, total gem weight, photograph and estimated retail replacement value. Most insurance companies encourage you to have your jewelry appraisals periodically updated to keep up with current market trends and the increase in labor, precious metals and gemstones. Do We Keep A Copy Of The Appraisal? Your appraisal will be securely backed up in our archives and can be easily updated in the future upon your request and at the prevailing update fee at the time. What Is An Estate Appraisal? An estate appraisal requires an appraisal of cash value or any included gemstone or jewelry item. This cash value is based upon what a willing buyer and a willing seller would agree upon without a forced sale. Since it does not consider today’s marketing costs nor current prices for labor, material or creative design, this type of appraisal is lower than an appraisal done for insurance purposes. Treasury regulation 20.2031-1(B) states the fair market value is the price at which the property would change hands between a willing buyer and a willing seller, neither being under any compulsion to buy or sell and both having reasonable knowledge or relevant facts. The fair market value of a particular item of property is not to be determined by a forced sale price, nor is the fair market value of an item of property to be determined by the sale price of the item in a market other than that in which such item is most commonly sold to the public. Do I Have To Leave My Jewelry Overnight? Our “WHILE YOU WAIT” service is designed to appraise your jewelry while you wait and while you watch! In most instances, you will receive your appraisal immediately. If you have a large number of items or if additional research is required, you will receive your appraisal in 7-10 working days. What Are Some Other Needs for an Appraisal? Can I Sell My Jewelry for the Appraised Value? NO. An insurance appraisal is valuated at the approximate retail replacement value. This value is determined by (cost + market = selling price) and represents the approximate price to go out and replace the item in the primary market. When one sells a used piece of jewelry, they do so in the secondary market which does not have the pricing structure like the primary market. Prices on the secondary market are determined solely upon the basis of buy and sell. They depend on how badly someone wants to sell and how badly someone wants to buy. These two factors come together to determine the price which is much lower than approximate retail replacement cost.